This artist watch has a sharp looking design with a comfortable black leather band that looks great. 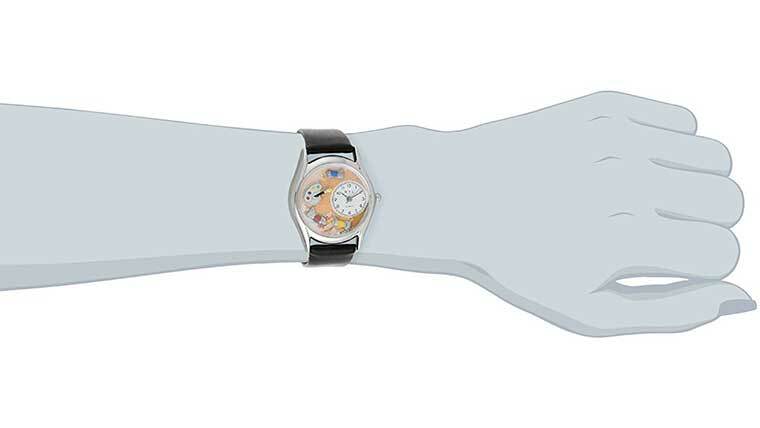 The art themed dial and other common art accessories inside the watch look great! This is another cool gift idea for artists. 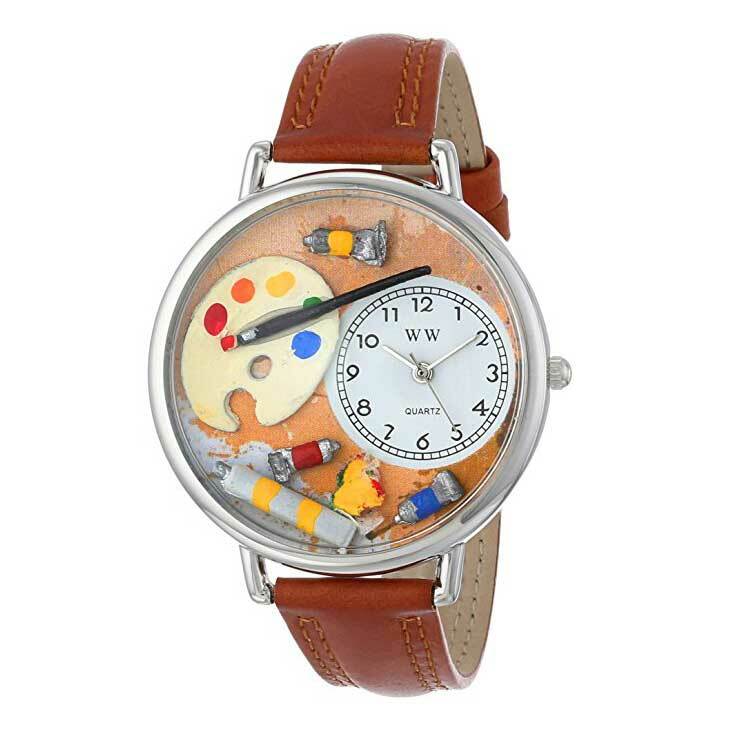 This art themed wrist watch is high quality and precise. The black Italian leather strap is comfortable looks sharp. The glass on the face of the watch is waterproof and scratch resistant. This is a cool gift for artists if you need a Christmas gift or a present for any occasion really. If you have questions, comments, or know of another cool cool artist watch let us know in the comments and so other people can know about it.